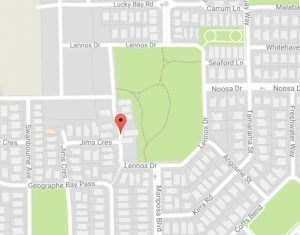 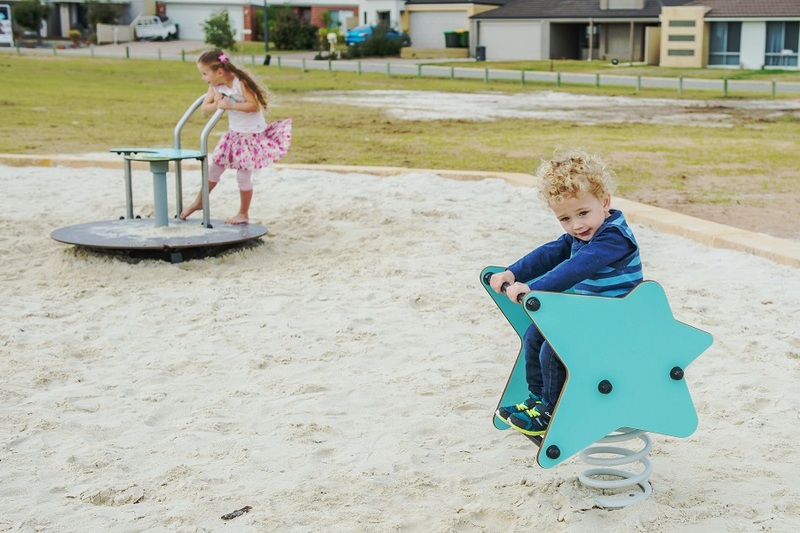 Lennox Reserve Play Space provides a great variety of play opportunities for all ages. 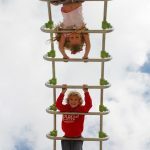 Older children love the new IXO unit which challenges the most skilled monkeys to climb to the top of the great arch, take on the challenge of the speed slide or ride the spinning Gyro. 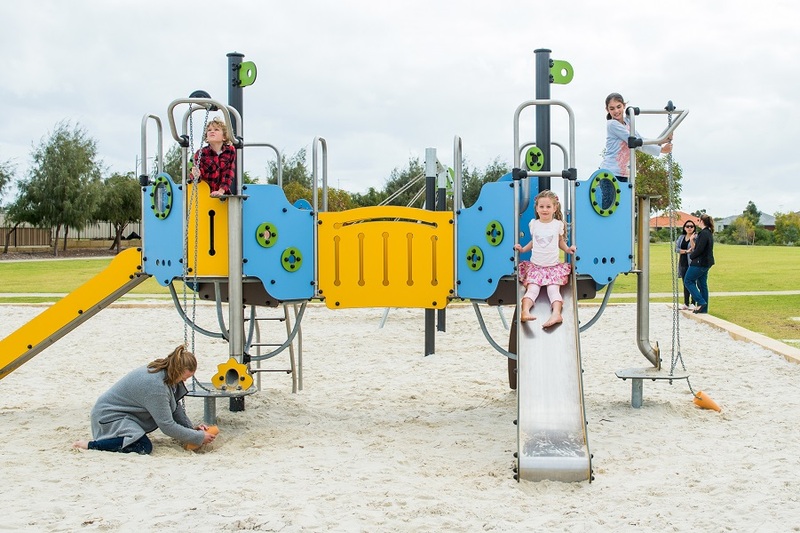 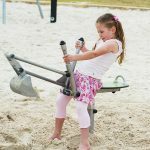 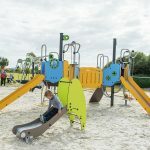 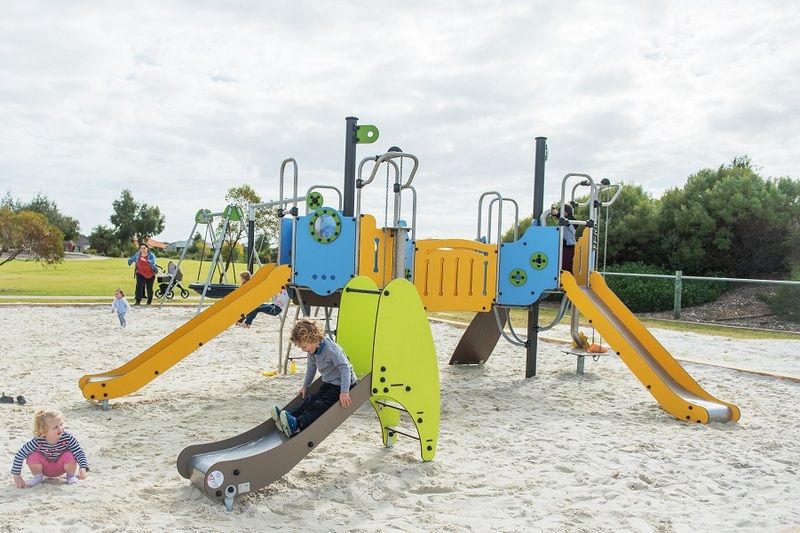 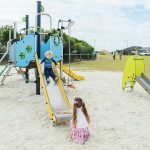 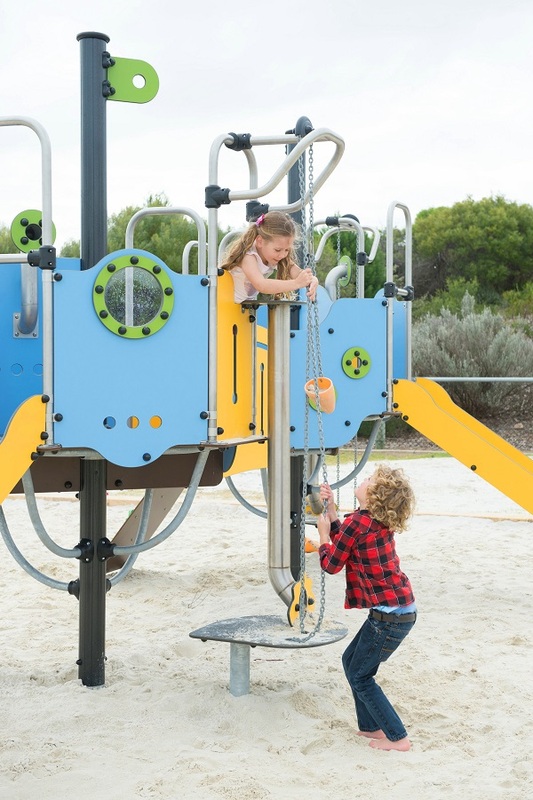 The custom-designed Aquatica Sand Play unit is very popular with younger children working busily together to haul sand to the top platforms and pour down the chutes to their workmates below. 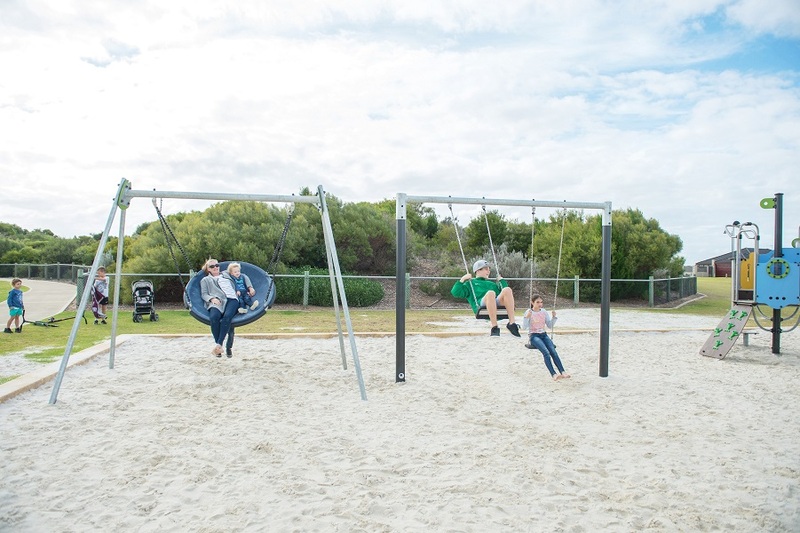 The Pod Swing is a favourite for all ages from Dad and bub gently swinging as they lay and watch the clouds float by, to a small group of energetic 10 year olds seeing how high they can go! 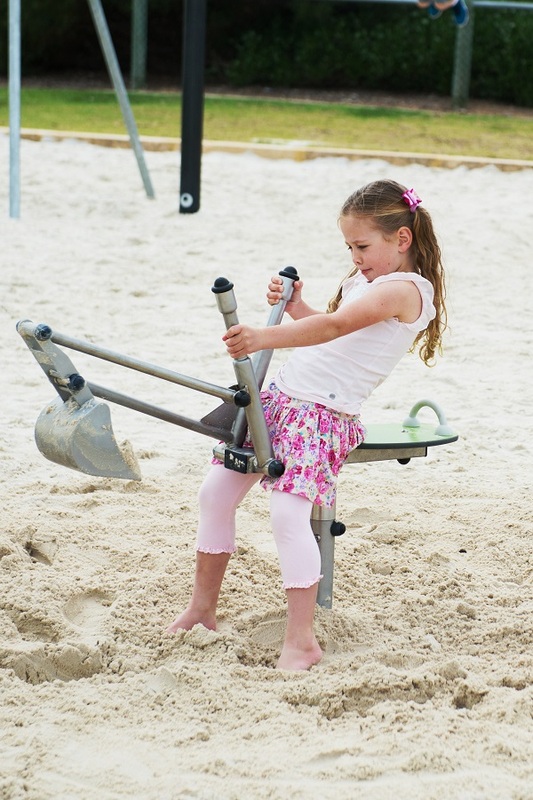 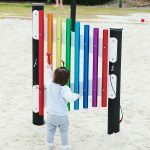 Other Proludic play equipment includes the Inclusive Tournicoti carousel, the Inclusive Rainbow Harp, Mini Slide, Stella Springer, the Sand Digger and a Swing set. 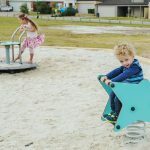 Proludic’s custom-designed Aquatica Sand Play unit includes many play activities that help with the development of children’s gross motor skills, fine motor skills and cognitive abilities whilst also providing sensory stimulation. 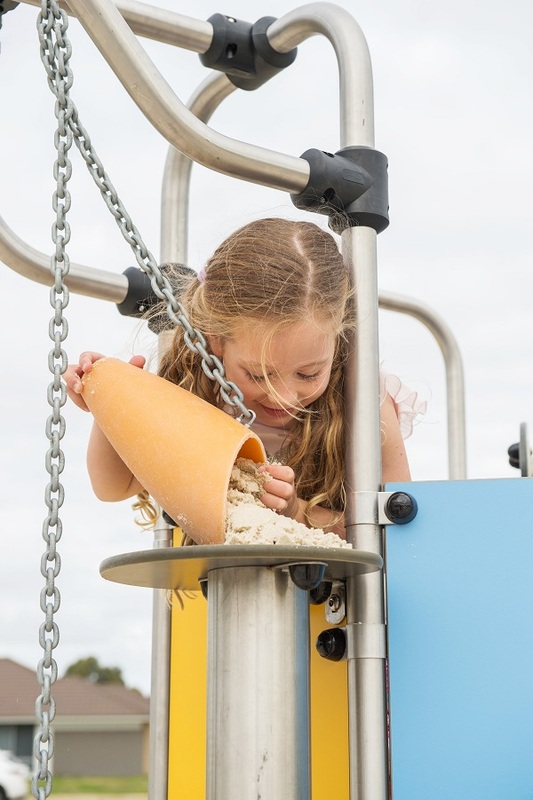 Buckets, pulleys, sieves and pipes encourage children to play with and handle sand, an enormously beneficial activity. 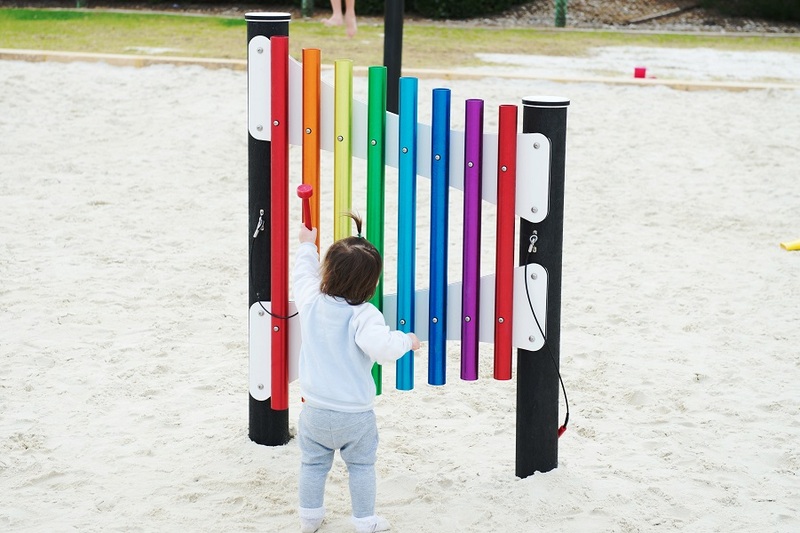 Children gain awareness of the concepts of shape, state, weight, volume and learn to understand cause and effect relationships. 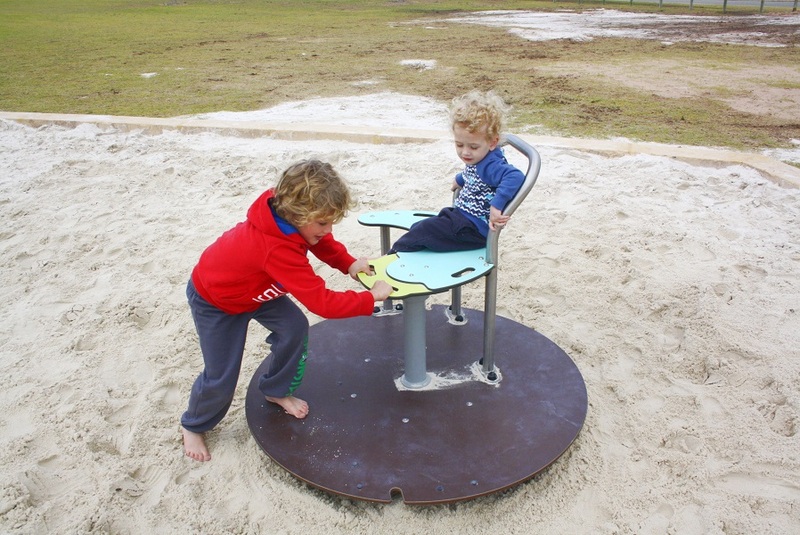 The IXO Multi-Play is designed to get older children moving without them realising it! 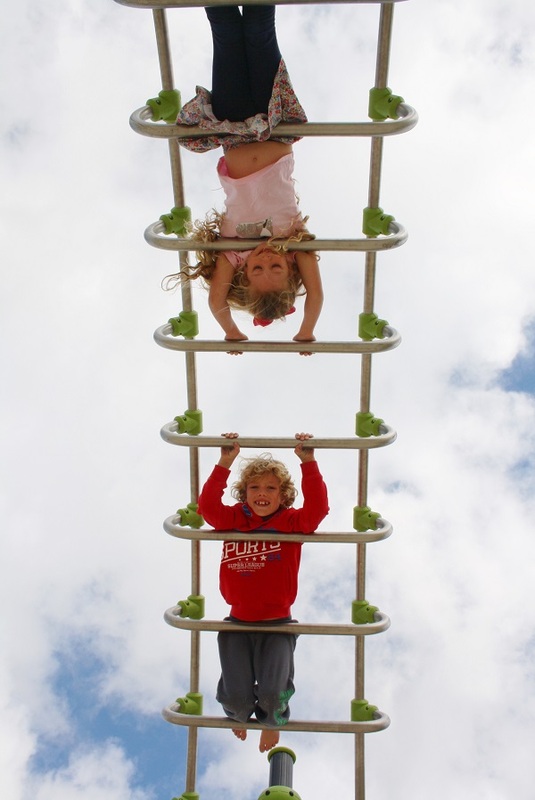 Their urge to play encourages them to climb, hang, slide, jump etc whilst having great fun. 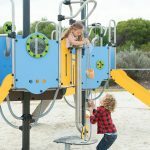 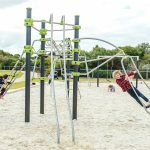 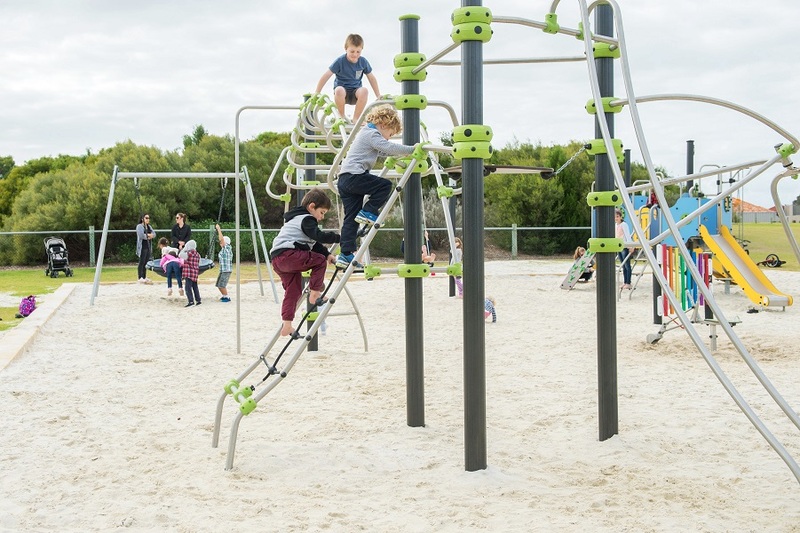 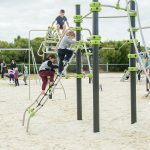 The Ixo play structure is ideal for collective use as it generates interactions between children that are just as important as physical activity. 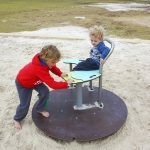 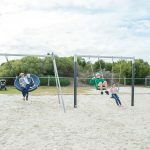 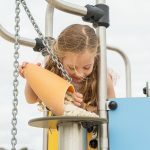 Other Proludic play equipment includes the popular and inclusive Pod Swing, the Inclusive Tournicoti carousel, the Inclusive Rainbow Harp, Mini Slide, Stella Springer, the Sand Digger and a Swing set. 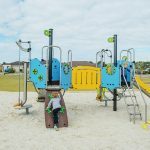 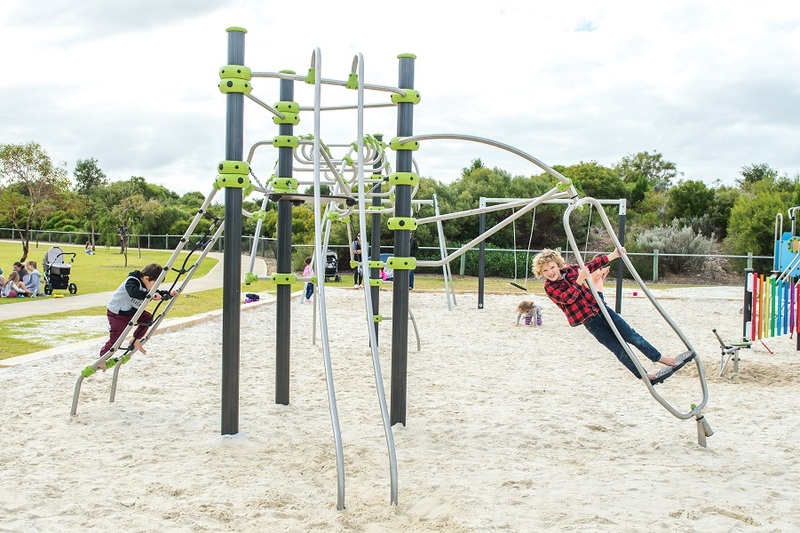 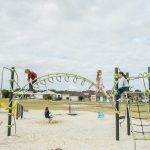 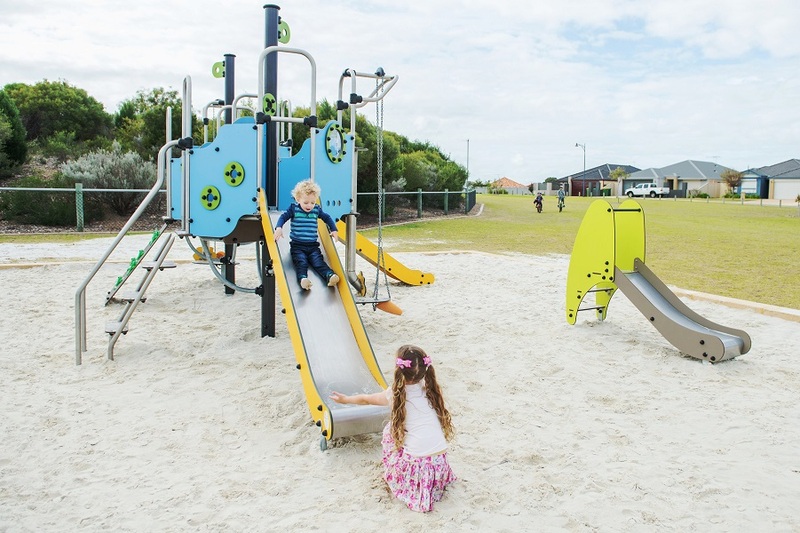 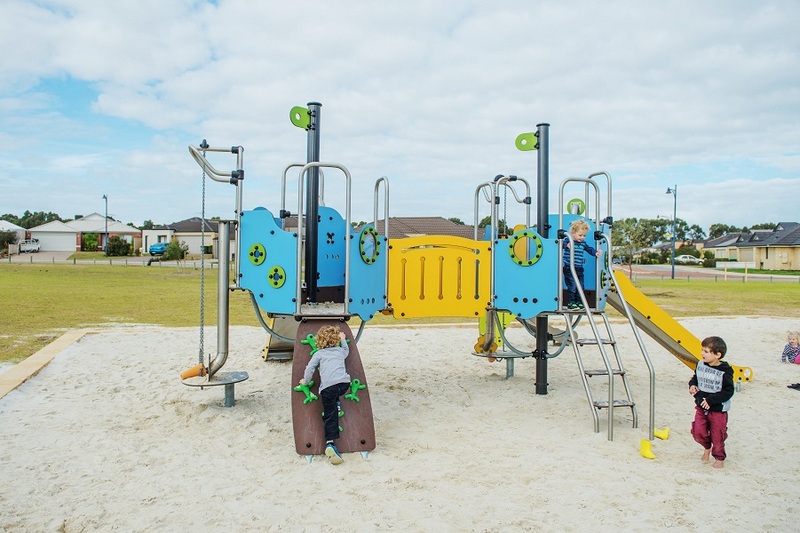 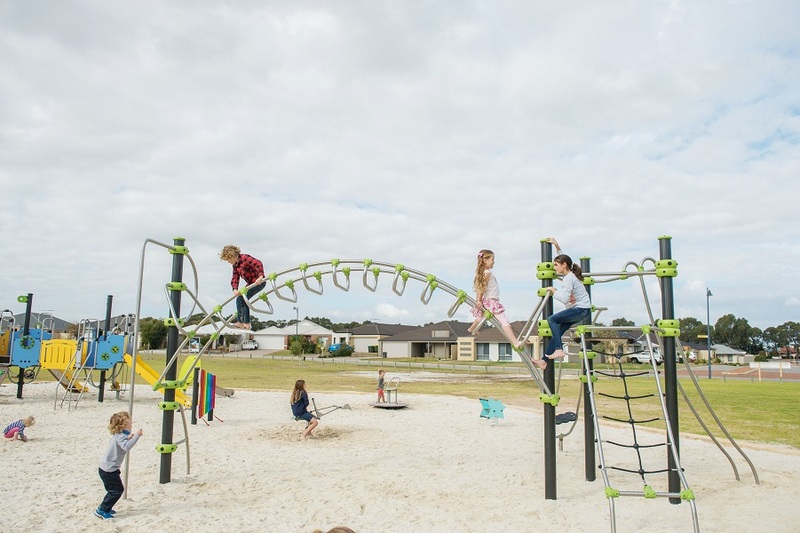 This is a great new play space for the City of Rockingham and it is a big hit with the local community!